Half Pants Full Pants - A Rose Is A Rose Is A Rose! Half Pants Full Pants! What a treat it was to read this book. It is so refreshingly different. It makes you do the time travel and takes you down the memory lane when life was so simple and innocent. 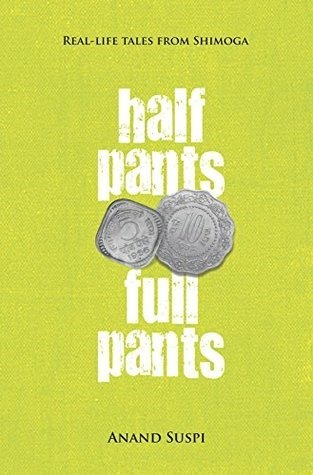 Half Pants Full Pants is a debut collection of short stories based on real life incidents of a boy growing up on a small sleepy town in Karnataka. Set against a backdrop of the 70s and 80s, this childhood autobiography is divided into two parts Half Pants and Full Pants. 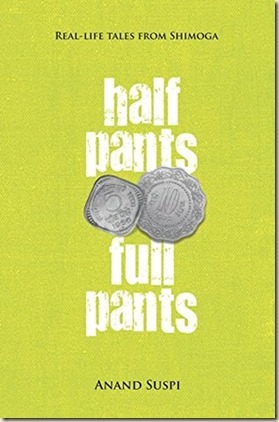 Half Pants is about the author’s life from Class KG to Class 7 while Full Pants is from Class 8 onwards. The book captures not only the adventures and misadventures of childhood, but also the traditions, culture, social norms and mindsets of people in a small town. What I liked the most about Half Pants Full Pants is that I could relate to it on so many levels. Being a child of the 70s and growing up in gadget free era, the kids then had only kids of their own age to fool around with. 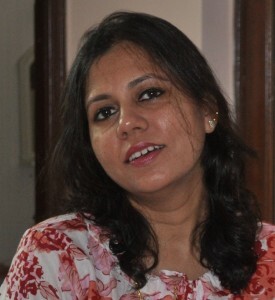 So when Anand shared about writing letters to pen pals or writing to celebrities or opening up a library or getting expert in banishing mosquitoes or sharing about the arrival of Sumeet Mixer and Solidaire TV at his home, I couldn’t help but nod and smile at the similarities with my own childhood. Reading about the other adventures of Anand with his friends viz having a cool name, the game of cops and robbers, practicing dolphin dives, hanging out of a running train in the middle of the night, being caught in a flood of sambar with his brother, becoming the “inventor” of capris or making magnets or eating blades, planning a borewell was fun and amusing. What didn’t work for me in Half Pants Full Pants was that all the dialogues exchanged by the various characters were in Kannada which were translated in English. This format might work well for people proficient in Kannada, but for me it was distracting and later became an irritant. The second dampener for me was the formatting of the book. There’s hardly any spacing between the paragraphs and the font size was a bit small for me. So, though the book held my interest from the very first chapter, I couldn’t continue reading the paperback and looked for the Kindle version on Amazon. Thankfully, it was available on Kindle Unlimited, and continued reading Anand’s childhood stories on the Kindle version. Half Pants Full Pants is about childhood but it is for adults. It is a fun, breezy, innocent read which will make you laugh and smile as you keep turning the pages of the book and simultaneously travel down the memory lane and re-visit your childhood. Check out Half Pants Full Pants and go for that nostalgic trip. You will love it too.